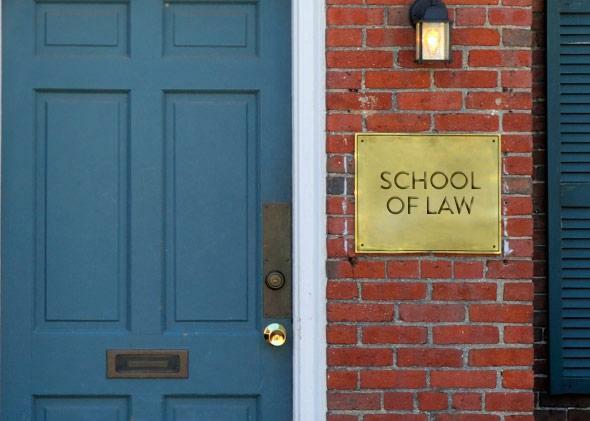 Job market for law school grads: What happened to the lost generation of J.D.'s. Is the Lost Generation of Law School Graduates Still Lost? What happened after the class of 2010 walked out that door? Photo illustration by Slate. Photo by Mike Cherim/Thinkstock. The class of law school students who graduated immediately after the Great Recession is sometimes referred to as the industry’s lost generation, thanks to the barren job market that left so many young J.D.’s struggling to find work. Of course, 2010 and 2011 weren’t really a great time for anybody in the United States. But the legal business seemed to be experiencing a special sort of meltdown, with big firms laying off droves of young lawyers and rescinding offers to new recruits. Both because it appeared that law firms might be suffering a permanent correction—shrinking after having grown too much, too fast during the good times—and because firms tend to hire entry-level talent straight out of school, there was a sense that those whose careers had been derailed by the downturn might never recover. Deborah Merritt, a professor at Ohio State University’s Moritz College of Law, recently attempted to answer that question. Using public sources such as court records, law firm websites, and LinkedIn, she gathered current employment information on the vast majority of new law grads who passed the Ohio Bar Examination in 2010. She then compared those figures with national jobs data on the class of 2010 gathered the year after they finished law school. Her working paper, featured in a New York Times article this week, comes to the discouraging conclusion that the lost generation is, in fact, still lost. In February 2011, 68 percent of all law grads were working in positions that required a law degree. In December 2014, that number had only reached 75 percent. That, Merritt writes, compares poorly with the national class of 2000, which also graduated into a recession thanks to the dotcom bust. By 2003, 85 percent of that group had found its way into a career in which a J.D. was necessary, and 62 percent were employed at law firms. Only 40 percent of Ohio’s class of 2010 are now at firms. They are also almost twice as likely to work as solo practitioners, who often barely scrape by financially. Merritt argues that this is a sign that the legal job market has indeed contracted for good and that there won’t be a sudden surge of new hiring to soak up excess graduates. Unfortunately, Merritt’s paper has some large warts. Most noticeably, she’s trying to trace how the market has changed over time by comparing the lot of lawyers in Ohio today with the employment stats of all new law grads nationwide in 2010. While Merritt tries to argue that Ohio is a decent barometer for the country’s legal industry as a whole, her stand is not entirely convincing. Among other issues, Ohio has a lot of low-ranked law schools, and many of its most talented grads don’t stay in-state; they head to centers of the legal industry, like nearby Chicago, instead. But while Merritt’s work doesn’t necessarily prove that a permanent change has occurred, it does tell us that in a large American state, a great number of newly minted lawyers aren’t finding work in the field for which they trained, and are often clinging to the industry’s lowest paid rungs. Michael Simkovic, a law professor at Seton Hall, and Frank McIntyre, an economist at Rutgers Business School, offer a more upbeat perspective on the present-day value of a law degree. Their previous work, which has become a touchstone for the legal academy’s defenders, has shown that, historically, even relatively low-paid J.D.’s earn enough compared with mere bachelor’s holders to make law school a financially worthwhile investment. One reason is that, even law grads who work in other fields, such as business or public policy, tend to get a nice salary bump compared with people who ended their educations after college. Does that change if they graduate into a recession where jobs are scarce? According to their newest paper, the answer is no. In the past, earning a law degree has been a profitable decision even for people who graduated into a bum economy. But Simkovic and McIntyre’s work has its own shortfalls. the data set they rely on doesn’t include any individuals who graduated after 2008. And while they point out census figures that suggest the typical earnings advantage for young lawyers—at least those who have jobs—hasn’t eroded over time, their work doesn’t definitively tell us that everything is A-OK for the class of 2010 or 2011. Moreover, it’s silent on whether those students would have been better off perhaps chasing an MBA rather than devoting three grueling years to studying contracts and torts. Thanks to their focus on salary data, Simkovic and McIntyre are also a bit blind to the emotional and psychological toll that J.D.’s sometimes pay when they fail to find careers as actual lawyers. Some people happily parlay their legal education into a rewarding job in government or business without ever actually practicing law. But some who get frozen out of the industry are clearly unhappy about it, even if they’re well-compensated. Take Jonathan Wang, a 29-year-old class of 2010 Columbia Law School alum Elizabeth Olson profiled in her NYT piece. Wang is currently working as an LSAT tutor, which is more or less a nightmare scenario for most students. On the other hand, he’s making “over $100 an hour,” meaning he could easily be making six figures. By Simkovic and McIntyre’s metrics, his law degree looks like a solid choice, given that relatively few mere B.A. holders under 30 earn that much. Sounds pretty lost to me.